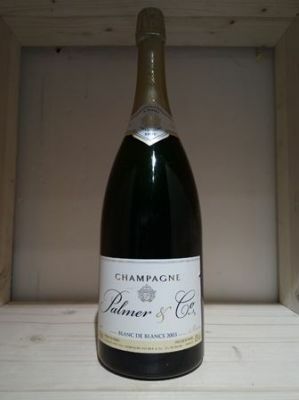 Champagne Palmer elaborates from the only white grape-variety, the Chardonnay, a marvelous cuvée of "blanc de blancs ", always echoing an exceptional year (always a vintage one). A pure composition in its most expressive style. The delicate Chardonnay grapes come from two Grands terroirs giving this champagne an amazing, fine and harmonious expression.